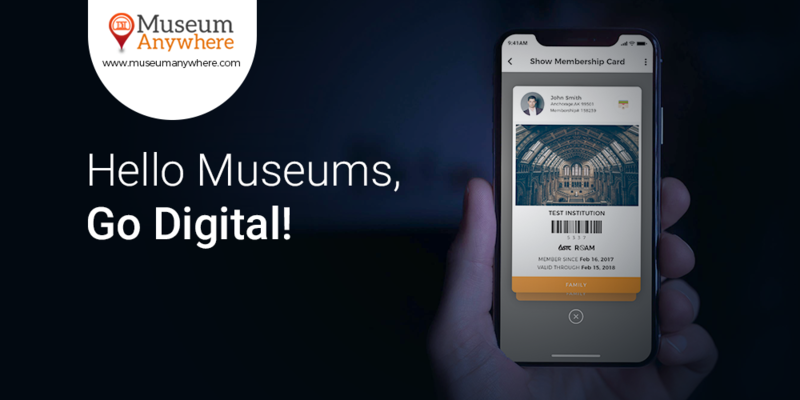 digital membership card by MuseumAnywhere that has helped many museums to get more closely connected to their members. The membership card makes membership even more convenient as it let your members carry one less card in their wallet. Above that, most importantly museums will develop a close relationship with the members which couldn’t be made possible with the plastic membership card. At MuseumAnywhere it’s our mission to help museums and cultural institutions accelerate member’s engagement through eMembership cards. Our solution will help the museums to further enhance the member experience. Don’t worry, it won’t change your membership process but our team has come up with this idea as an enhancement to the membership process. Say Goodbye to the traditional method. Your members are the valuable assets and museums should engage their members to receive benefits by being the member of your museums. Traditionally, membership acquisition was being done manually which was very time-consuming and expensive. Museums had to face a lot of challenges which included burdensome tasks such as sign-ups and syncing membership information across databases and of course the outsourced mail-house or internal costs of printing, separating, stuffing envelopes, snail mailing, and labor cost. Digital Membership card is smart and it knows what to do when the membership renewal date approaches. In the sense, it saves the time and cost of printing and shipping membership cards and renewal notifications by mail. But with membership card, there comes quick e-delivery once the membership card gets lapsed. With the help of membership card on your member’s smartphones, museums can easily send updates on the upcoming events and exhibitions. Also, you can send a customized greeting to your members on special occasions in the palm of a member’s hand through push notifications and location-based alerts. This personalized action will bring your members closer to you. Your members crave convenience so give them what they deserve with a host of benefits. Next Next post: Let the imagination of your visitors come true- AR technology in applications!